Destinations abound, all year round! Our luxury coach fleet can take you anywhere across Australia. 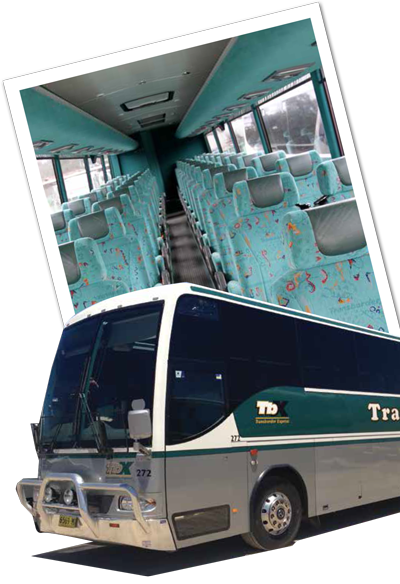 Transborder Express is the cost effective interstate travel option taking the hassle out of long haul vehicle movements. From regional New South Wales towns to the centre of Sydney and further interstate, we can get you there. Please speak to one of our friendly staff to confirm if your desired destination is available. Looking for something a little further afield? Transborder Express can take you there. From small groups to multi-vehicle movements, our modern fleet of coaches will comfortably transport you to the vast array of engaging camps and activity centres on offer in New South Wales and beyond. special luggage requirements (i.e. sports equipment).